The voluntary repatriation, in close co-operation with the Libyan authorities, the Nigerian Embassy in Tripoli and the IOM mission in Nigeria, was by charter flight which departed Tripoli’s Mitiga airport and arrived in Abuja, Nigeria early evening. Before departure, all migrants were provided with clothes and shoes. A mobile patrol from the Libyan Directorate of Combating Illegal Migration (DCIM) escorted the buses to Mitiga airport. The circumstances of this group were similar to other migrants who were previously repatriated by IOM from Libya. 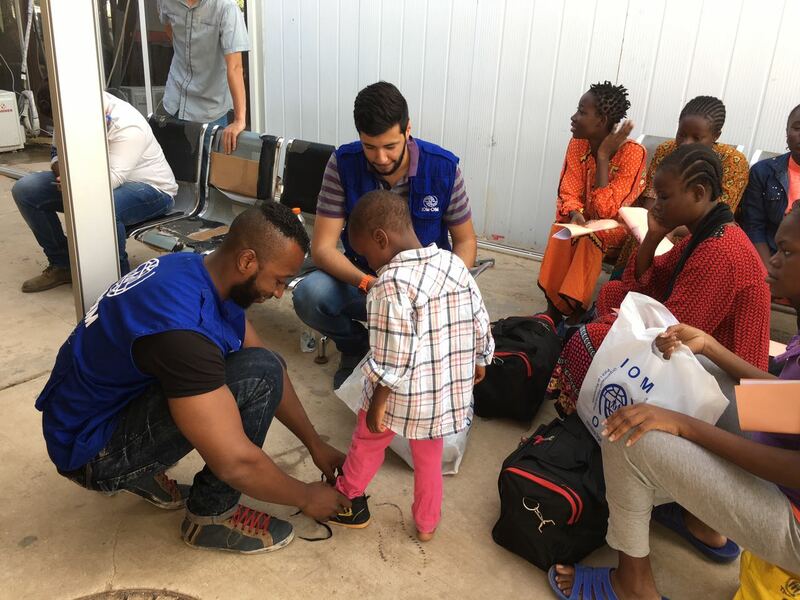 Some of the migrants who spoke to IOM explained why they felt compelled to embark on their perilous journeys and also shared some of their experiences in Libya. On arrival, the repatriated migrants were met by IOM Nigeria at the Murtala Muhammed International Airport and were provided with cash grants. All the returnees were given money to pay for their onward transportation to their final destinations in Nigeria. Among the group, the most vulnerable returnees will be provided with reintegration assistance facilitated by IOM Nigeria. The charter was funded by the European Union’s Instrument Contributing to Stability and Peace (IcSP), as part of an IOM project: Repatriation Assistance for Vulnerable Migrants Stranded inside Libya and Promoting Stability in Libya’s Southern Regions.